Sens. Susan Collins and Angus King and Reps. Chellie Pingree and Jared Golden have joined a bipartisan group, asking that the U.S. potato industry be considered in trade negotiations with China. WASHINGTON — Maine legislators have joined a bipartisan group, asking that the U.S. potato industry be considered in trade negotiations with China. "As you and the members of your administration work with the People’s Republic of China to resolve trade disputes, we request your attention to an agriculture trade issue that has gone unresolved for nearly 20 years," the letter reads. "Notwithstanding the diligent efforts of the United States Trade Representative and the United States Department of Agriculture (USDA), China has not opened their market to fresh potatoes from the United States and has left U.S. potato growers without a clear path forward on how to resolve concerns that are standing in the way of opening this important market." "If access to China’s fresh potato market is granted to the United States, it is estimated that China could become a top five market for U.S. potato exports," the letter continues. "This would result in new jobs in communities throughout the country and ensure the U.S. potato industry remains competitive in the international marketplace." Don Flannery, executive director of the Maine Potato Board, thanked the state's legislators for signing onto the letter to the Trump administration. "It is extremely important to Maine potato growers that China and other export markets are available to fresh potatoes grown in the United States," Flannery said. 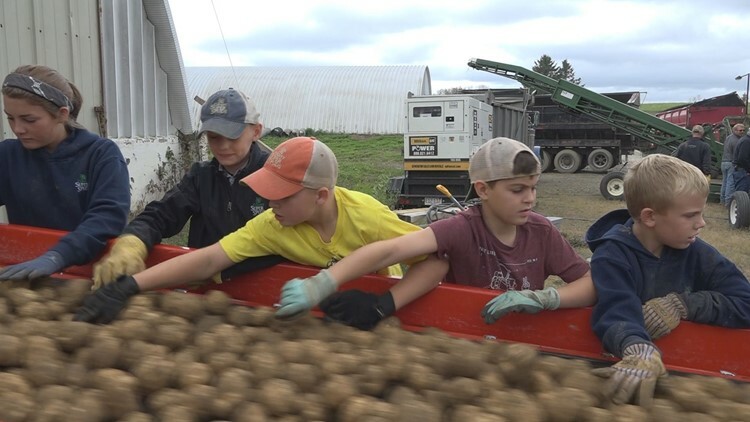 "While export of fresh potatoes aren't a major part of Maine's market, we support exports opportunities for other U.S. growers, as it will helps build demand domestically for Maine grown potatoes."